How fun is this card? So stinkin’ cute and it uses the Stampin Up On Film Framelits for the “film” edge. The Elegant Butterfly “punch out” and Retro Fresh Washi tape accents. Created by Donna Johnson. This card is really cute. 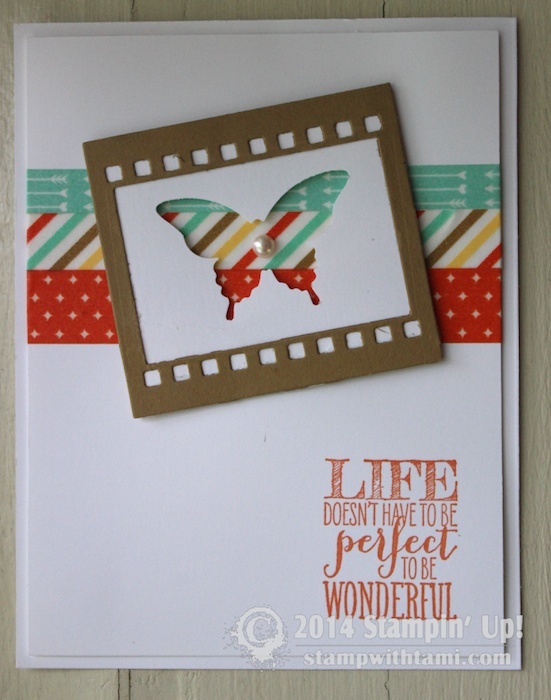 Very fun design – love the Washi tape colored butterfly!